The information needs of deaf patrons in the library are similar to those of other patrons. However, deaf and hard-of-hearing patrons may have more difficulty accessing specific types of materials or services and library staff may not know how to appropriately communicate with them. According to the American Library Association "people with disabilities are a large and neglected minority... and are severely underrepresented in the library profession", but libraries play a pivital role in the lives of people with disabilities by helping facilitate their participation in community and society. Libraries should use strategies based upon the principles of universal design to ensure that library policy, resources, and services meet the needs of all patrons. Libraries across the US are making improvements in accessibility through the Association of Specialized, Government, and Cooperative Library Agencies, including accommodations for the Deaf community. Over the last few decades, libraries in the United States have begun to implement services and collections for deaf patrons and are still working to make their collections, services, and communication/customer service more accessible. Staff must be made aware of the communication needs and diversity of the Deaf community. Deaf individuals communicate in a lot of different ways, depending on the person: speaking, writing, signing, gesturing, or a combination thereof - not all will use American Sign Language (ASL) or read lips, which is something that many people assume. ALA and ASGCLA offer practical tips for communicating with those in the Deaf community on their site. The State Library of Ohio also provides various formats of materials and magazines for and about the Deaf community. 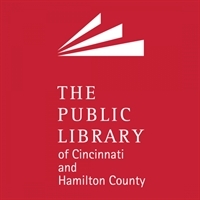 Here, they offer a list of print books, eBooks, and other materials as examples of Deaf/Hard of Hearing and Deaf Culture resources available with a State Library of Ohio card. This guide also includes links to information and resources from governments, institutions, and organizations affiliated with or providing services associated with Deaf/Hard of Hearing and Deaf Culture. Finally, the National Assocation of the Deaf is the ultimate resource for information about and for the Deaf community - including things like links to government services in ASL and more. If you want to learn more about communicating with and providing services for the Deaf community, register for our free Level-Up Lab, "Working with the Deaf Community," coming up on November 13th. Chantelle Phillips from the Newport Branch of the Campbell County Public Library will share her experiences of programming for the Deaf community over the past three years and Amy Nitschke, a professional interpreter, will provide insight into Deaf culture and communication with Deaf patrons. Join your fellow youth services librarians, staff, and other youth literature enthusiasts from around the region to discuss the books the Mock Committee of the Public Library of Cincinnati and Hamilton County have chosen as nominees for the Mock Coretta Scott King and Mock Printz Book Awards! The official Printz committee announces books they find outstanding every year at ALA Midwinter. In that same vein, the Mock Printz committee is creating a list of top contenders from every month. At this meeting, the Mock Printz committee will present their chosen best books and open discussion on each book. At the end of the meeting, a vote will be held to determine the Mock Printz honors as well as the finalist. If you would like to follow along with the committee's reading, please check out the Mock Printz group page! You will find blog posts that list top contenders every month that may be taken into consideration for the Mock Printz. Media Literacy is the ability to access, analyze, evaluate, communicate, and create using all forms of communication and media. The mission of Media Literacy Week is to highlight the power of media literacy education and its essential role in education today. Media Literacy Week is designed to bring attention and visibility to media literacy education in the United States. Inspired by Canada’s Media Literacy Week now in its 13th year, the National Association for Media Literacy Education leads the efforts to coordinate a media literacy week in the United States to showcase the work of amazing media literacy educators and organizations around the country. The mission of Media Literacy Week is to highlight the power of media literacy education and its essential role in education today. edWEB Webinar - Social Media’s Impact on EdTech: Fake News?